Buddhist, Jain, Hindu, Christian, Muslim? 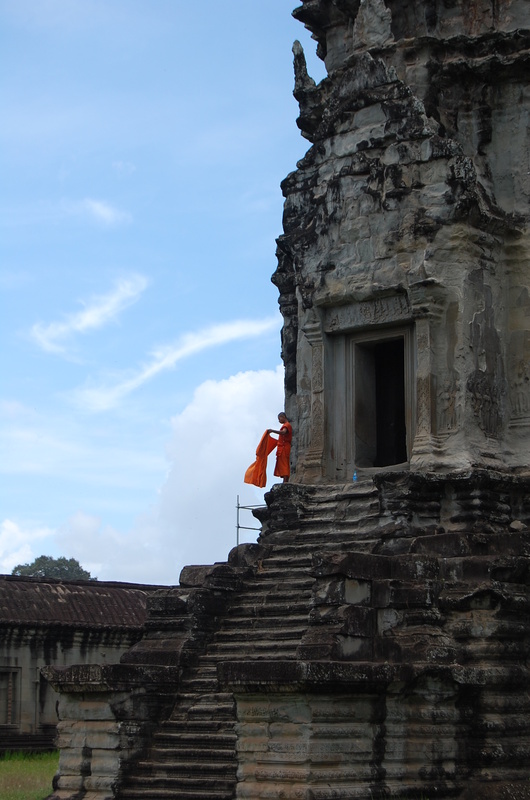 I have to go back to Angkor Wat, both in my mind and in person. I’m sorry Ashwin (the boy who had to poop in the grass at a world heritage sight) but next time I’m going back without children. Maybe you will be all grown up by the time I return and you can come with me again – I would love that. 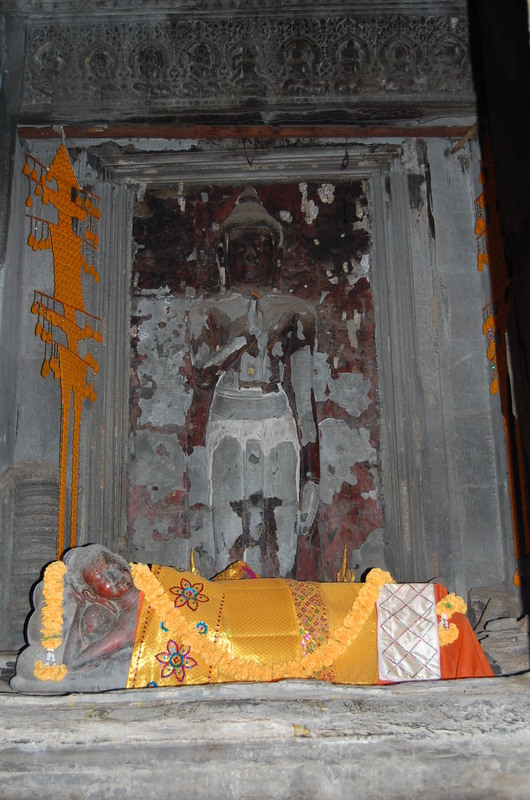 I’ll go at sunrise when its quiet, I’ll climb to the top level where I can see the view and the altars that are still in use by monks – and I will think and draw and have peace of mind. 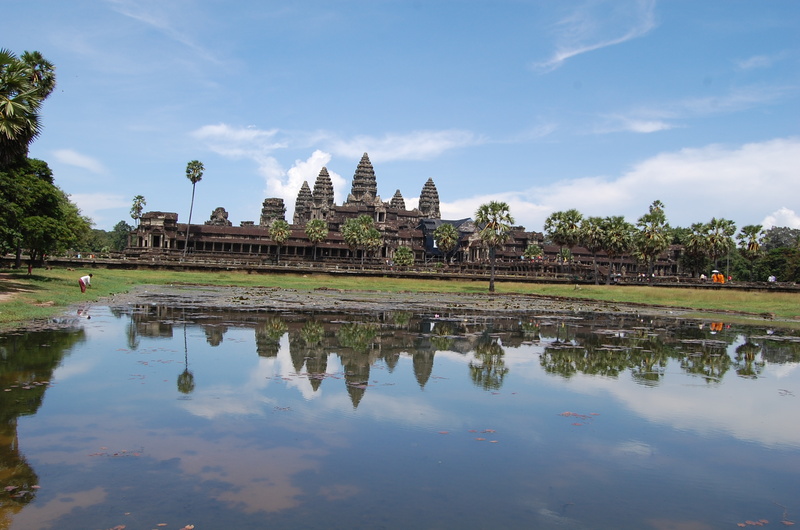 Angkor Wat is huge and even when there are a lot of people, it doesn’t feel crowded. Even at the top level, which is fairly small, it doesn’t feel like there are very many people – but not everyone wants to climb the steep steps and children are not allowed. I have realized when I go to these holy places, no matter the religion, I am looking for my own inner peace and some kind of experience that is larger than myself. I am not a religious person, I don’t practice any particular religion, but I do feel the need for a rich inner life. I look at these pictures and sometimes I can’t believe I have seen these things. That being said, I will certainly never be a Jain. I am currently waging war on the ants in the cloud house and the black larvae on the terrace! 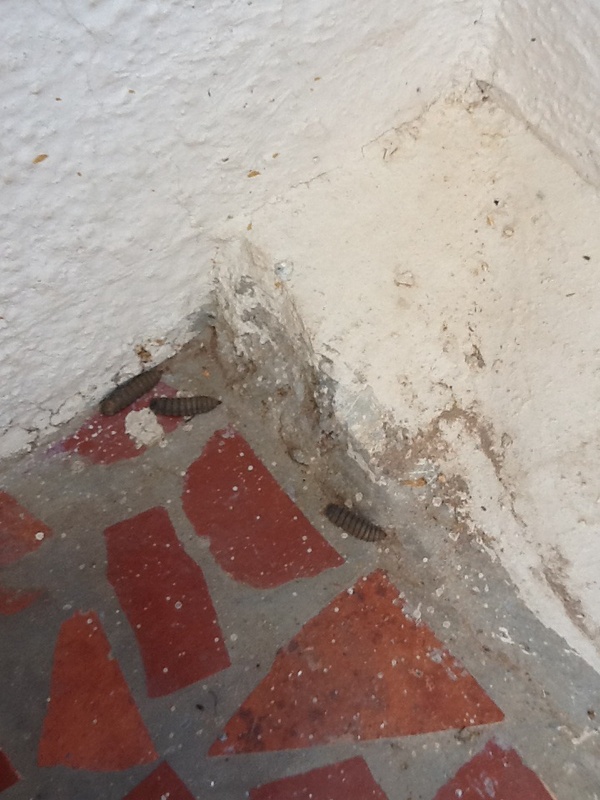 The larvae have come out of the compost and they move remarkably fast to the dark corners of the terrace to protect themselves from the sun. I can’t leave anything outside our door, not a door mat or flip flops or broom. They will congregate underneath. There are many things that I love about India, but the bugs are not one of them and when I’m having a difficult day they drive me crazy! Ashwin is still having major tantrums about going to school in the morning and I’m afraid it’s the bugs who suffer. I haven’t gained the tolerance of those who live in the tropics.